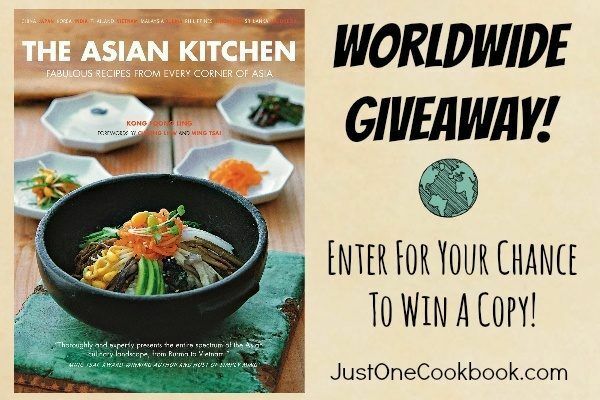 Today I’m partnering with Tuttle Publishing to give away one (1) copy of The Asian Kitchen by Kong Foong Ling! 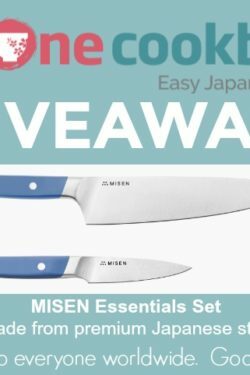 This giveaway contest is open to everyone worldwide. 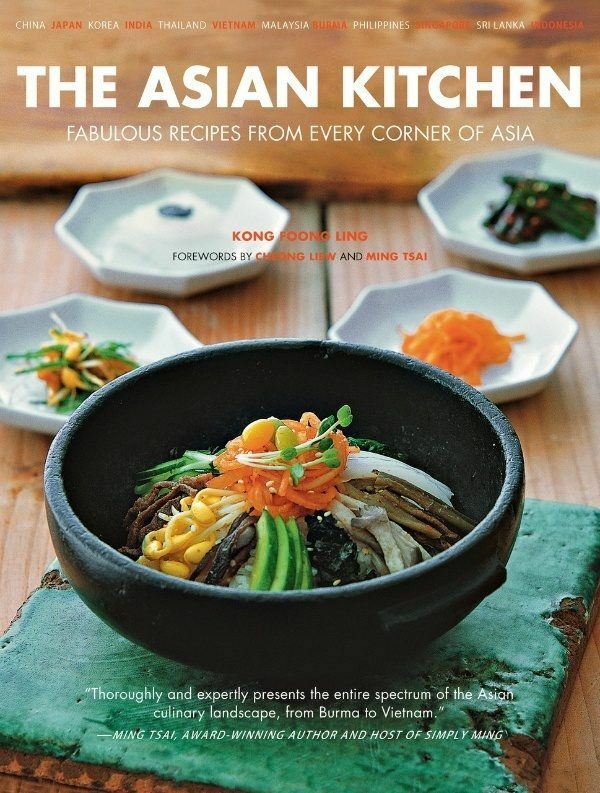 Prepare a wide range of dishes from all over Asia with this easy-to-follow Asian cookbook. 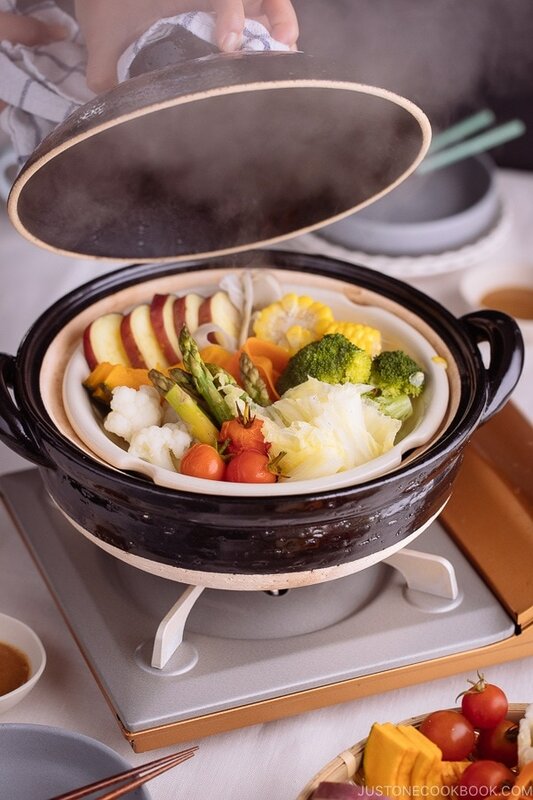 Savor the authentic flavors of dishes from every part of Asia with The Asian Kitchen—from the spicy satays of Bali to the fragrant spring rolls of Saigon and the hearty barbecued beef ribs of Seoul. In this remarkable compilation, you’ll find recipes from every major country in Asia—Burma, China, India, Indonesia, Korea, Japan, Malaysia, Singapore, the Philippines, Sri Lanka, Thailand and Vietnam. Complete menus are suggested for each cuisine consisting of appetizers, salads, soups, noodles, rice dishes, vegetables, poultry, meat, seafood, desserts and drinks. Take a flavorful and aromatic tour of Asia within the comfort of your own home and kitchen with the recipes in The Asian Kitchen. Surprise your friends and entertain your family with interesting stories about faraway dishes and Asian cuisines that taste incredible. Each recipe is simple to prepare, and the ingredients are easy to find. Clear color photographs show you exactly what the dishes look like! Tuttle Publishing has amazing collection of books, especially topics extending in Asian and Japanese cultures. You can start checking out their bestsellers if you are looking for new books to read. I will be giving away more books in the future with Tuttle Publishing, so stay tuned! and leave a comment letting me know which one you’re subscribing/following. If you follow more than one, don’t forget to leave a separate comment for each social media. and leave a separate comment saying you “liked” their page. This giveaway closes on Tuesday, June 30, 2015 at 12 p.m. PST and is open to participants worldwide (everyone!). 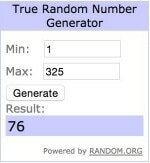 One (1) winner will be selected via Random.org and contacted via email, so please include a valid email address in the email address entry box (please double check your spelling!). The winner is required to respond within 72 hours to claim the prize. Full Disclosure: This giveaway is sponsored by Tuttle Publishing. 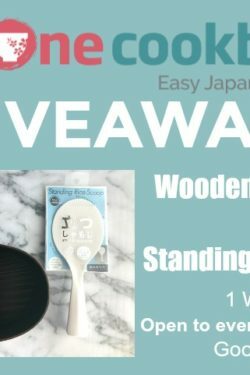 Thank you so much for entering this giveaway! Here’s the winner…. I subscribed to the newsletter and liked on Facebook. Thanks. i love asian food . Thks for sharing your recipe it’s very nice ! I love the pictures of the dishes. They always looks so inviting. I follow Just One Cookbook on Instagram. i love Asian food and have been trying to make it at home. This book will be life saver for me. I am a longtime subscriber to your newsletter. Love the recipes and would love to win a copy of the book! Subscribed to newsletter! Love the recipes! I have subscribed to your You Tube sight. I’m subscribed to your Youtube. I liked Tuttle Publishing on Facebook. I already follow all of your social media sites! Love your recipes. Subscribed to your email newsletters!! Following Just One Cookbook on Facebook! I hope i can win it! Love your videos! I’m subscribed to JOC email newsletter. I already subscribe to your newsletter and follow you on Pinterest and Facebook.. Liked on Facebook and thank you! Subscribed to your YouTube page. Already following you on Instagram! I’m a subscriber to your e-newsletter. 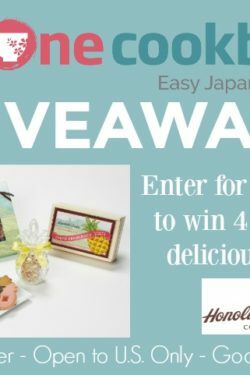 Please enter me for the the worldwide giveaway contest. Thank you for sharing your recipes. I liked the Tuttle Facebook page. Subscribed to your Email Newsletter! Subscribed to you on YouTube! Following Just One Cookbook on Pinterest! Following Just One Cookbook on Instagram! I follow you at Facebook! Subscribed to your Newsletters from Just One Cookbook. I’m already a JOC newsletter subscriber. I’m already a subscriber to Namiko Chen on YouTube. I subscribed to Namiko Chen on You Tube. like Just Ine Cookbook on Facebook. Looks lke a great book! I subscribed to your youtube account and I liked your facebook page. Just liked Just One Cookbook on Facebook! Just liked Just One Cookbook on Youtube! Just liked Just One Cookbook on Instagram! I love your recipes. They are delicious and easy to follow. Plus the photos are amazing! Nami, u never fail to amaze me with all ur posts. I always look forward to them.. Best wishes. I followed Just One Cookbook on Printerest. I liked Turtle Publishing on Facebook. Your recipes with those beautiful pictures draw me to follow you. Thank you. A great variety of food that surprises and brings back childhood memories…. I subscribe to your newsletter. Thanks for the chance! I like you on facebook. Thanks again for the chance. I get the email newsletter. I’m subscribed to your newsletter and follow you on pinterest. Hi i follow you via mail to receive your news letter, i´m from asia too, but i live in Brasil. I went in search of a recipe for authentic green tea ice cream and discovered your blog! I just subscribed last week and am already in love with your site. 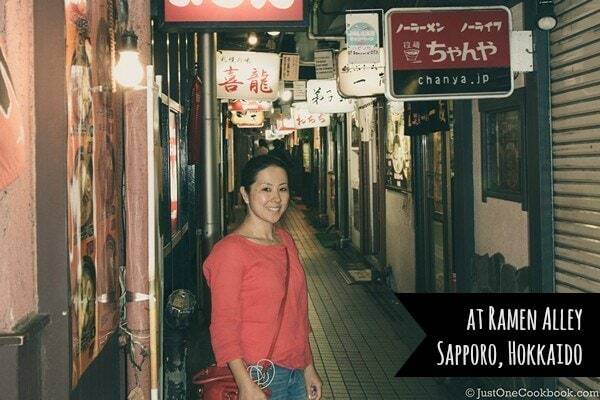 I’ve especially enjoyed your entries on Kyoto, a beautiful city that I enjoyed living in for four years. Oh, and the green tea ice cream is relish! I subscribed to your youtube channel! Thanks. 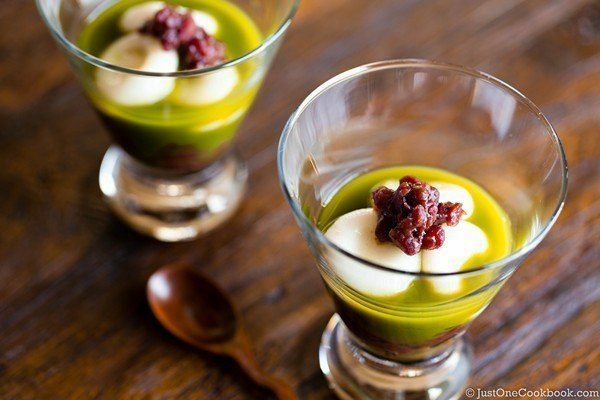 Great recipes., beautiful web site. I love receiving your emails telling of new recipes and your Asian adventures. This cookbook looks great! The website has given me opportunities to explore simple n delicious recipes which I never thought of. This is an eye opener to a novice cook like me. Thank you so much and I would much appreciated if the web can continuously to provide cooking knowledge to the entire world. I have already done everything #1! I have already done everything #2! I have already done everything #3! I have already done everything #4! I have already done everything #5! I have already done everything #6! I have already done everything #7! Good luck to everybody! Hi again. So many different avenues to follow people these days. I am now following you on facebook and instagram. Love our posts! Love your blog and your fun-to-use recipes! Liked “Just One Cookbook” on Facebook. Followed “Just One Cookbook” on Instagram (my user ID’s @thelexiiecon). Subscribed to Just One Cookbook’s newsletter. Liked “Tuttle Publishing” on Facebook. I Subcribed to the email newslettle. I follow Namiko Chen on Youtube.